“atterwasch. 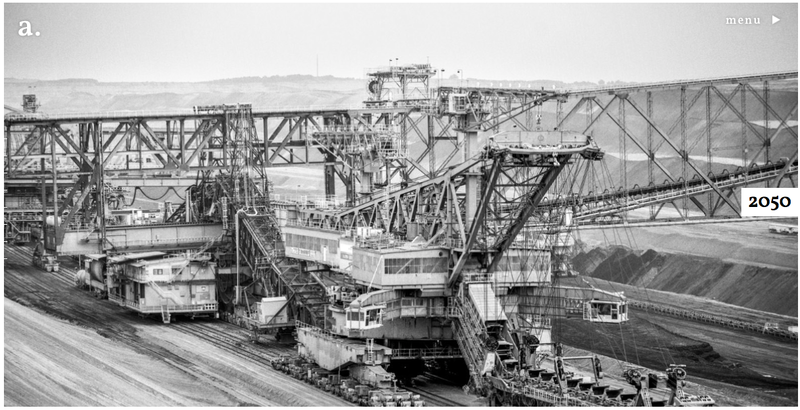 is a documentary about the German village of Atterwasch which is under pressure to make way for a brown coal open-cast mine, despite the fact that the village exemplifies Germany’s acclaimed energy transition. 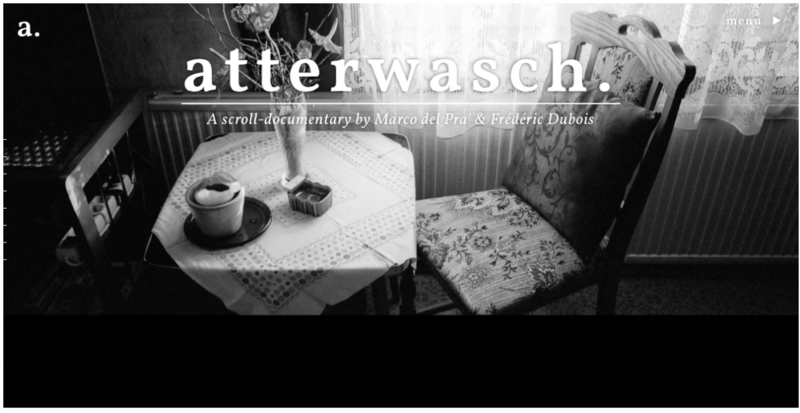 This multimedia documentary focuses on the uncertainty Atterwasch’s residents were confronted with over a one-year period (2013-2014). You are free to determine the pace of the narrative yourself.” The website that is atterwasch.net is a scrolling documentary presentation featuring recorded interviews and is very well done which is why I am featuring it here. I like how the design of the website presents the documentary photography project engaging with the story of how the people are experiencing the problems that they are living though. I really like how some of the images have been animated to give it a different feel and aesthetic. Yet the story i told in a way that lets you engage with it. Well worth Checking out the website and also the interview with Marco Del Pra Documenting a village before it disappears, on the Leica Blog. I personally, look at a lot of photography and by extension photography presentations. In my research for the teaching that I do and for the website www.photographyworkshopslondon.com. It is refreshing to see a different kind of presentation for a documentary photography story, that is getting the idea of the economic and social impact of what people are experiencing. I like the use of animation and the interviews, that are not dependant on you looking at a particular photograph, to be able to make meaning form the website and the story that it is telling.